November 11-13 & 19-20, 2016. 19229 Rexville Grange Rd., Mount Vernon, WA. Annual arts and crafts show in the Skagit Valley the two weekends before Thanksgiving featuring baskets, paintings, pottery, glass, photography, jewelry, weaving, and wood from Northwest artists. 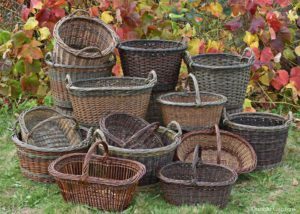 As you can see from the photo above, Katherine has a lot of nice willow baskets that she is bringing to the show. Opening party Friday, November 11 from 6-8pm with live music from Campbell Road. July 18-23, 2017. Katherine has been invited to teach Colors and Textures: Playing with Willow at the next NBO conference to be held at the University of Puget Sound in Tacoma, WA. Her class is already full at this time, but there are some spaces available in other workshops. Check the NBO website to see which classes are available. In addition to classes there will also be a couple of basketry exhibits. You can find out how to enter your work or go see the work from the NBO website. Katherine is one of the Board members who have been working hard to make this a great event. 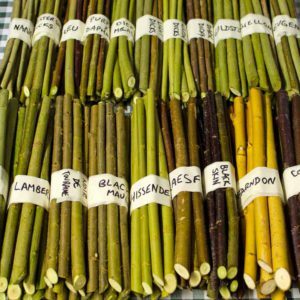 We will start taking willow cuttings orders for Spring 2017 delivery starting in December. Take a look at the website for all the details. Order early to reserve your cuttings; we usually sell out by March. Katherine’s classes at the upcoming Northwest Basket Weavers Guild Winter Retreat in January are all full. Likewise the class at the National Basketry Organization Conference in July is now full. At this time Katherine doesn’t have any plans to schedule more classes for 2017. For people in the northwest, we would suggest checking out the Northwest Basket Weavers Guild and/or the Columbia Basin Basketry Guild to find out about classes and events with other basket makers. 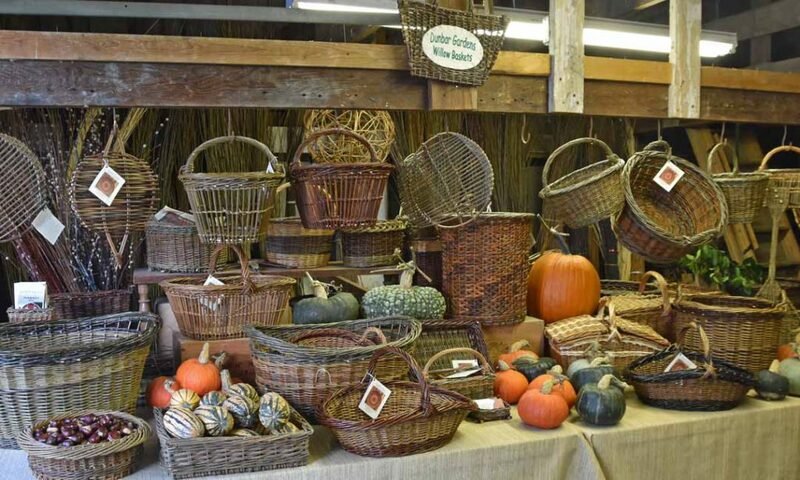 There is also a list of basketry guilds across the country on the National Basketry Organization website. You are welcome to stop by the farm to check out Katherine’s baskets when the April shows are over. You can find out more about what we’re up to by visiting our website at dunbargardens.com. We are also on Pinterest, Facebook and Instagram. 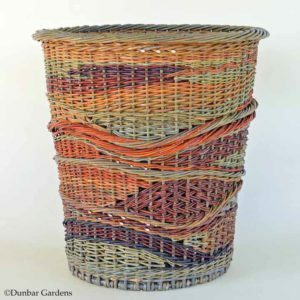 This entry was posted in Newsletters and tagged arts & crafts, baskets, National Basketry Organization, Skagit Valley, willow by Steve@DunbarGardens. Bookmark the permalink.